Pinoy indie fans, we found your next go-to destination! (SPOT.ph) Most people associate Maginhawa with its always growing (and changing) dining scene. More recently, we've also seen the rise of shops that carry fun and unique finds that are hard to find anywhere else. This dynamic neighborhood is always a must-visit for the curious and adventurous, which is why it's the perfect spot for a new movie venue in the Metro. 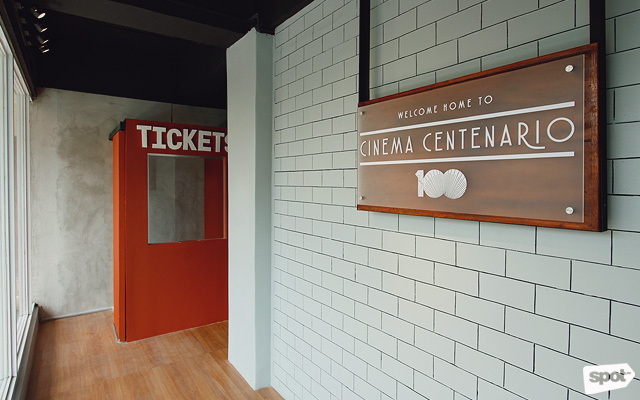 Tucked between the many concept cafés and shopping destinations is Cinema Centenario, a microcinema that caters to avid movie fans who want an alternative space to appreciate Filipino films. It's the brainchild of filmmaker and co-founder Hector Barretto Calma, who tells SPOT.ph that the idea came to him in early 2016 when he was part of a film festival in Taipei. "[The venue] was an old winery that was converted into an art hub with exhibit halls and screening rooms," he explains. "Sobra akong na-amaze and na­-fascinate na meron silang idea na ganoon." 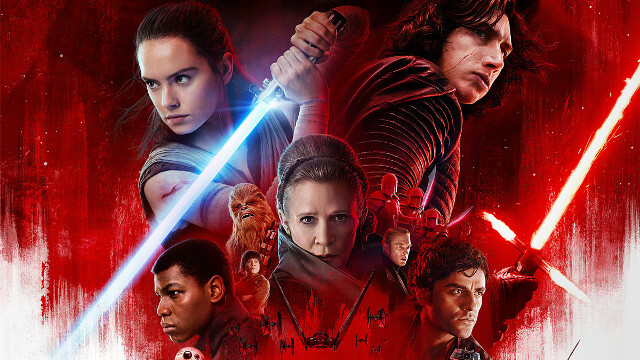 Although he toyed with the idea for several months, the work really began a year later when he collaborated with nine other co-owners who all hail from various backgrounds of film, production, and business. What they have in common, naturally, is a deep love for local cinema that they hope they could share with like-minded audiences and industry folks. For instance, they want their movie lineup to address a worrying gap in the local movie industry. "As much as possible, we want to showcase local films. As a filmmaker, alam ko 'yong feeling na may pelikula ka tapos hindi mo siya maipalabas sa audience na gusto mo kasi wala kang venue," says Hector. "Ito 'yong mga pelikula na hindi nabibigyan ng chance sa mga malalaking cinema or nabigyan nga ng chance pero tatanggalin kaagad sa first day." And if it means screening films that carry sociopolitical statements, then all the better. "Naniniwala ako na 'yong power ng pelikula, 'di man niya mababago 'yong mundo, pero mababago niya 'yong perspective ng tao," he says. Their lineup will range from new indie releases to documentaries, hard-to-find titles from small production companies, and and even restored Filipino classics. "We're working on a partnership with ABS-CBN Film Restoration and we hope to have regular screenings of classic movies," he adds. 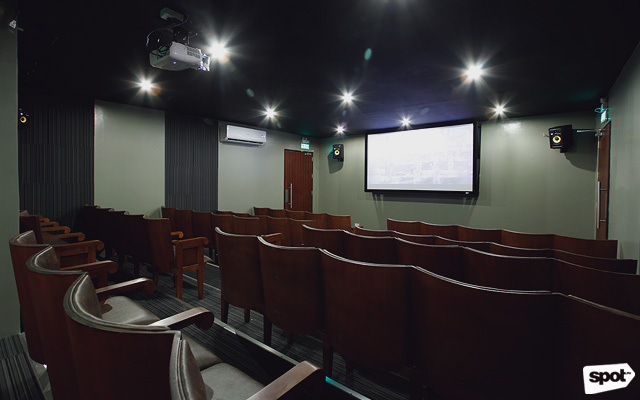 You can see their deep love for film even in the way their screening room was conceptualized. 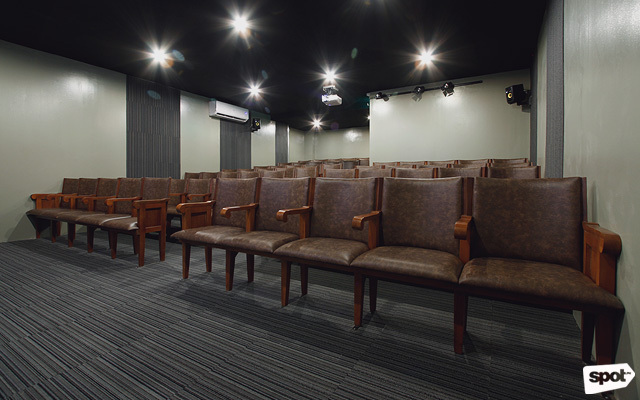 The room was designed by co-owner Jedd Dumaguina, a sound designer who ensured that every inch of the space gave audiences the ultimate viewing experience. For one, the cinema has 65 seats (no standing allowed! ), with each row gradually elevated so everyone has a clear view of the screen. 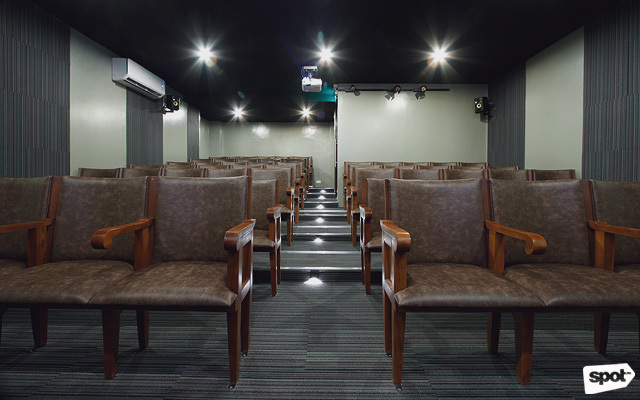 Every aspect of the room, from the length of the screen to its distance to the seats, was specifically computed to give audiences the best viewing experience possible. That means that the crisp 5.1 surround sound is clearly heard even by the person at the far back of the room, and the moviegoer seated at the far left will still have a clear and unobstructed view of the screen. 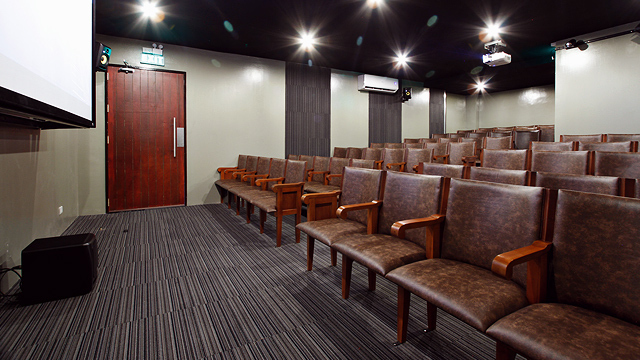 Unlike typical cinema seats, their unique seating is made from mahogany and was specially made in the province. The design, Hector adds, is inspired by the seats of retro standalone theaters in the Philippines. Food won't be a problem, either. 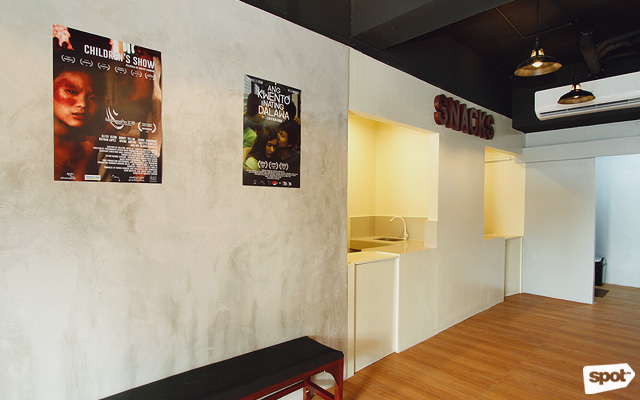 Audiences can bring in food to the theater, which they can buy outside or the venue concessionaires. Their schedule changes every two weeks, and they even have plans to screen movies well into the early morning for night owls or folks who have busy schedules during the day. Ticket prices are at P150 for now, and P200 for screenings after their initial dry run. 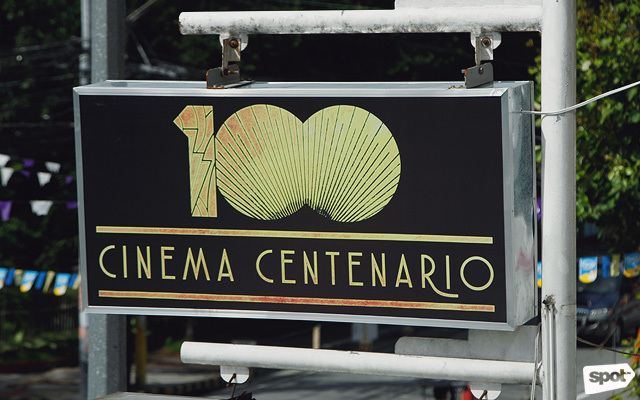 True to its name, Cinema Centenario is a celebration of 100 years of Philippine Cinema, and Hector tells us that his microcinema is his "own small contribution to that celebration." And whether it's through chatting with a stranger you just met or taking part in Centenario's upcoming film lecture series, he hopes that he can cultivate an inclusive and welcoming community who are all bound by their appreciation of cinema. 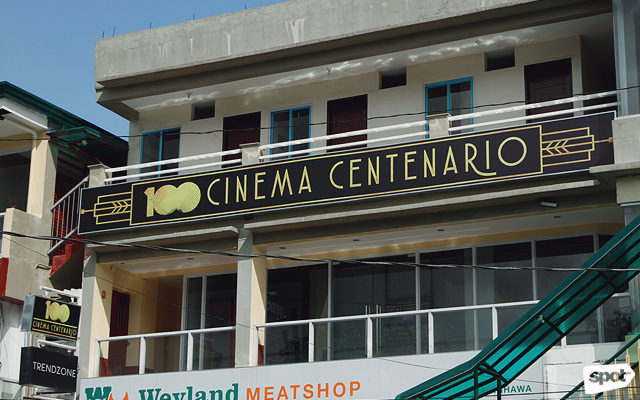 Cinema Centenario is at 95 Maginhawa Street, Teachers Village, Quezon City. For inquiries and more information, log on to their Cinema Centenario's Facebook page.